Thank you for submitting your item for appraisal. 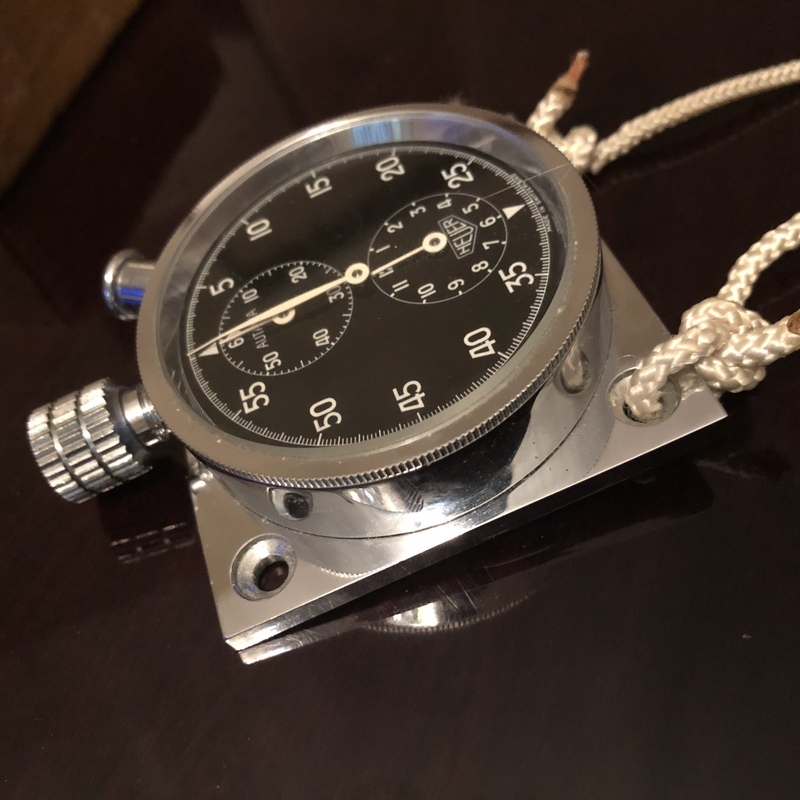 This appears to be a stainless steel Autavia Dashboard Laptimer Stopwatch or dash clock manufactured by Heuer, Valjoux 340 movement. This type was later replaced by the easier to read in a speeding car "Monte Carlo" version. A near identical dashboard stopwatch originally sold thru ABERCROMBIE & FITCH Co. was auctioned a few years ago. The excellent condition of the watch in your possession should have a positive effect on the estimate and possible auction result. There is no measurement for the sentimental value you might attach to it.